On Friday 14th and Saturday 15th September, Villanova will play Round 7 vs Marist College Ashgrove in AIC Basketball. We hope to post team lists by Thursday of each week. Please see below the season schedule for the 2018 AIC Basketball season. This document contains important information regarding the trials, training schedules, coaches contact list, uniforms, clinics, trial and regular season schedules and much more. Basketball is one of the most popular sports on offer at Villanova College and is open to all students from years 5 to 12 during Term 3. All Year 5 and 6 games are played on Friday afternoons, while all Year 7 to 12 games are played on Saturday mornings. The games hosted by Villanova are played either in Goold Hall or on the recently upgraded outdoor courts. Villanova also utilises the courts offered by nearby schools including Loreto College Coorparoo and St Martin’s Catholic Primary School. Coaches are chosen primarily from teaching staff and Old Boys with the necessary expertise. More experienced and accredited coaches are also sourced from outside of the Villanova community. Villanova enjoys a close relationship with the Clem Jones Sporting Centre where a number of Brisbane Spartans and potential Brisbane Bullets players assist Villanova College with our basketball development program, as well as taking on various coaching roles with our top teams. An annual basketball clinic is held at the beginning of the season, and basketball trials and preseason training generally commence a week after the rugby and football seasons conclude. The Open Basketball squad runs an extensive preseason program commencing as early as Term 1. The playing uniform consists of Villanova basketball shorts and singlet. 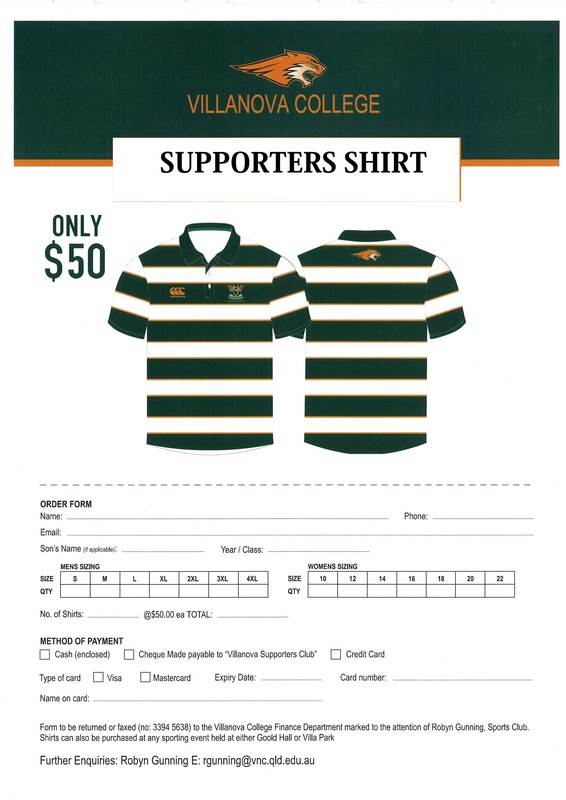 Players are asked to purchase the shorts from the College Uniform Shop, while singlets can either be purchased or hired for the duration of the season. Basketball is supported by an active parents of players group who assist primarily with the canteens during home games. Since the inception of the AIC Competition in 1999, Villanova College has taken out the title of ‘AIC Champion Basketball School’ three times and has won many premierships including the ‘1st V’ title on four occasions. During the season, further information such as training times, team lists, coaching staff, schedules and results is available on the College website.